Batman and animation have a long history. I’m always psyched for the latest animated adventures of the Bat, and the DC Universe line of movie has been cranking them out regularly in recent years, so with last week’s release of Son of Batman, I was inspired to revisit every animated Bat movie and rank them. I decided I’d just include straight Batman animated movies on this list, so I’m omitting the Superman/Batman movies as well as the Justice League ones that feature him. There’s 10 in all so let’s get started! I don’t hate Mystery of the Batwoman. Yes, it’s my least favorite of all the animated Bat flicks, but hate is too strong a word for what adds up to a disappointing effort. There are actually some elements I appreciate about it, but the execution is sloppy and the mystery unravels in a totally unsatisfactory way. 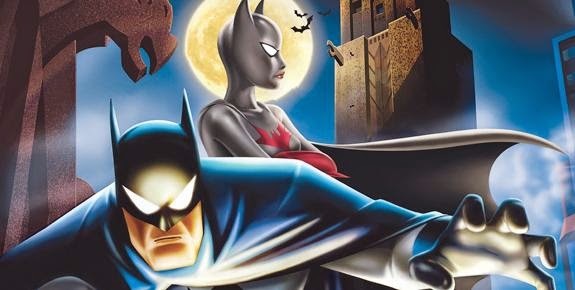 This is the only movie to be based on The New Batman Adventures animation style and while I don’t mind the look of that series, the movie appears to have been produced on a TV show budget. It’s too bright and the direction doesn’t give any sense that this is more than a glorified extended episode of the show. Worst of all, the one area they apparently did spring extra on was an original song used prominently for a musical number which I guess was supposed to raise the production value, but instead it just only served to take me out of the movie with how jarring it is. They even play it again over the end credits to get their money’s worth. The “mystery” is revealed to the audience before Batman figures it out which lessens the impact, but it’s not like the reveal was a major shocker. If you haven’t seen it, let’s just say there’s one too many red herrings. Kevin Conroy leads the voice cast, reprising his role from the series, and for the most part the actors suit their parts but Kelly Ripa is totally miscast in her role as a computer geek and while I don’t mind David Ogden Stiers as Penguin, he doesn’t compare to Paul Williams from the series. The climactic showdown between Bane and Batman on an ocean freighter engulfed in flames is a high point and there are a few good lines and some humor to be found, but as much as they try to give the new characters motivation, the backstories are one-note and end up feeling tacked on. Bruce’s love interest, who is mostly forgettable, comes across as forced with zero chemistry to speak of. It’s a shame because the creative team behind this did great work on the show but it appears without Bruce Timm and Paul Dini to help guide the ship, this is what we end up with. Batwoman deserves a better movie than this. We all do. Let’s hope next time they get it right. Gotham Knight is unlike any other title on this list. Instead of being one cohesive movie, it’s split up into six shorts, each scripted by a different writer (including Greg Rucka, David S. Goyer, Alan Burnett to name a few) and animated in six distinct styles by various anime studios. The stories loosely fit together with minor elements carrying over from one story to another but for the most part are self-contained. Here’s where it gets a little shaky – these stories take place in the Nolan-verse, falling in between the live action Batman Begins and The Dark Knight movies, so there are some subtle references that elude to events in Begins, but ultimately it doesn’t add much to the experience. I originally went in with the mindset of, “OK, so this is how Killer Croc would fit into Nolan’s films, got it.” But the more I thought about it, I didn’t really see the point. Unlike say, the Animatrix or Chronicles of Riddick animated tie-ins, which are voiced by the actors from the movies, Gotham Knight doesn’t feature any cast members from Nolan’s Bat films, weakening the supposed link to the movies. In a weird way, having Kevin Conroy voice Batman in this doesn’t quite work for me. 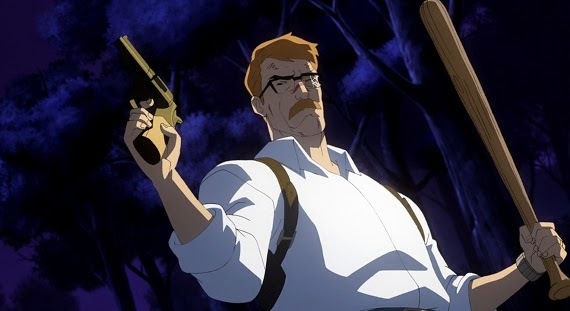 Conroy, to me, is the definitive voice of Batman and I’m always up for him playing the role but when you’re so used to hearing that version in relation to a particular animation style, it threw me off a bit with the various anime interpretations. And that’s not to say that I’m not a fan of anime or that Conroy’s voice can’t work outside of the Bruce Timm model (it works great in the Arkham games), but I think I would have preferred different voice actors for the alternate takes on Batman. Voice acting aside issues, the animation is pretty spectacular throughout and is some of the best I’ve ever seen in an animated Bat movie. No surprise there, as the studios involved previously brought us such anime classics as Ninja Scroll and Ghost in the Shell. I would love to see a full-length movie animated in one of these styles down the road. Story-wise, the segments vary in quality and I think they would have worked better if they weren’t restricted by the requirement of fitting into the same universe and could operate completely independently of each other, similar to the Batman: Black & White anthology. So while I liked the idea behind this release, the execution wasn’t flawless. It was only a matter of time before Damian Wayne got his own movie. Based (very loosely) on the comic book story arc Batman and Son by writer Grant Morrison, this movie tackles the introduction of Batman and Talia Al Ghul’s son, Damian, the future Robin. Obviously being a DC animated movie and only having so much time to work with, this necessitates that events move at a much quicker pace here than they do in the comic. The rushed pace means the movie packs a lot of story in, but at the sacrifice of any character development. While there are plenty of action beats, there is little to no character moments to point to. Batman and Damian’s relationship barely has a chance to grow before he suits up as Robin and takes on Deathstroke. The lack of development makes it impossible to like Damian that by the final fight, it’s hard to say if anyone would care whether he lived or died. I certainly didn’t get a sense that Batman did, he’s far more concerned with Talia’s well being. The army of manbat ninjas make their way into the story straight out of the comic, but just as it was in the comic, it comes off more like a “wouldn’t this be cool” idea than something necessary to telling a good story. 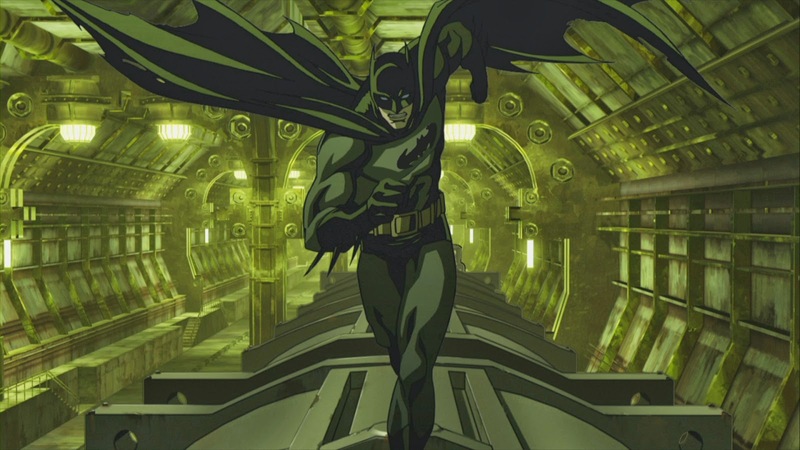 Having skipped Justice League: War, this was my first time hearing Jason O’Mara as Batman and my initial reaction was less than impressed. He’s not terrible, but he’s too one note. Every actor that voices Batman are put in the unenviable position of being instantly compared to Kevin Conroy, and some have pulled it off better than others, but I’m glad that Conroy is back for the next installment, Assault on Arkham. I’m beginning to tire of the DCU Animated “Original” Movies adapting stories from the comics. 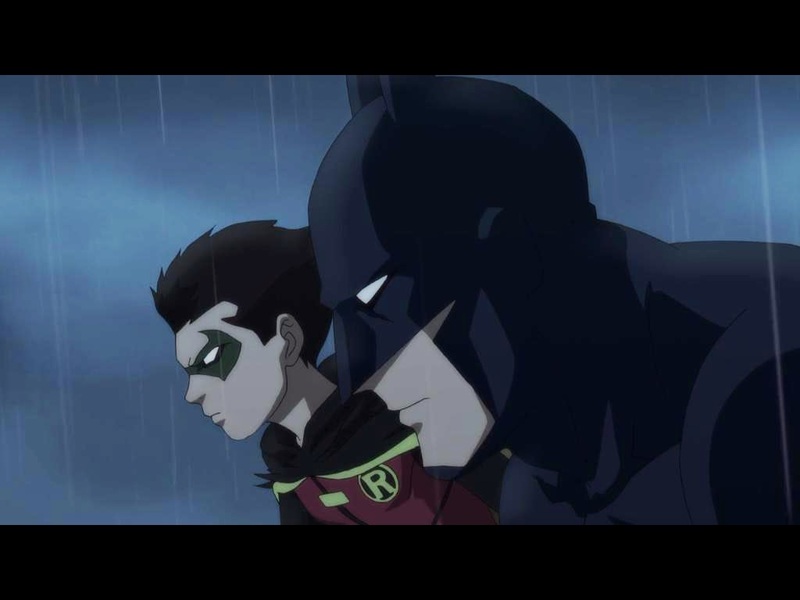 While Son of Batman isn’t a note-for-note recreation of the Batman and Son story, it was designed to be told in comic book format with as many issues as it took to tell the story. Because these movies are limited by their runtimes, I’d love to see a future installment that is completely original and is catered to the direct-to-disc format as opposed to trying to cram several years worth of story and character development into a tiny package. Fans crave something with more time and care invested into it, and if that means we have to wait longer, I’m willing to be patient. I originally wrote off The Batman series altogether. I couldn’t get past the goofy character designs and I suppose I thought of myself as a purist that if it wasn’t B:TAS that it wasn’t worth watching. I eventually gave The Batman a shot, and once I was able to separate it from its predecessor and judge it on its own merits, I actually came to appreciate it for what it was. The Batman vs. Dracula is the sole movie to come out of the show and it, like the series, exceeded my expectations. No, it’s not perfect (Tom Kenny’s Penguin is too silly for words) but what does work really works. Peter Stormare (everyone’s favorite nihilist) captures the essence of Dracula, taking the role as seriously as he would a live-action one. The producers wanted to simply drop Bram Stoker’s version of Dracula into their story with his personality intact and they achieved just that. Dracula is a worthy foe and really presents a formidable threat to Batman. If the show treated every villain with the gravitas they did Dracula, the show would have majorly benefited from it. Having said that, one of my favorite aspects of the movie is Dracula Joker. 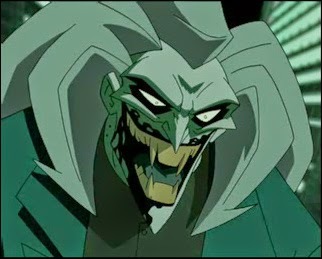 Joker goes from being a laughable foe to one of his creepiest portrayals yet. I couldn’t have predicted how much fun a blood-sucking Joker could be. As much as I was pleasantly surprised with the outcome, I couldn’t help but wonder while watching how much more I would enjoy an adaptation of Doug Moench and Kelley Jones’ Red Rain. But this is The Batman and so I can’t really criticize it too harshly for being what it is which is a perfectly serviceable Batman movie. Adapted from the Frank Miller scripted classic of the same name, it was only a matter of time before this got the animated treatment. Before we get into this, I’m going to get this out of the way – Batman: Year One is a bit overrated. I know, blasphemy, right? Look, it’s a decent Batman story. It’s an even better Gordon story (a more appropriate title would’ve been, Jim Gordon: Year One), but it’s nowhere near my Top 5 or even Top 10 Batman stories of all time. It’s clear to see how heavily Batman Begins was influenced by it, and I can appreciate the blueprints it laid out for future Batman stories to follow its lead, but was it so good that it needed to be animated? Other than some fine voice acting from Bryan Cranston as Gordon, the movie doesn’t offer a whole lot more than you can get from reading the book it’s based on. It’s a spot on, nearly panel-for-panel, recreation of the book, an almost glorified motion comic in its faithfulness to the source material. The dialogue remains pretty much intact as well, meaning you can read the book and put the movie on in the background to serve as a read-along soundtrack if you choose. Although I prefer to hear Kevin Conroy’s voice in my head when I read Batman’s lines over Ben McKenzie, who isn’t bad, he’s just dry. It seems Christian Bale’s performance serves as inspiration here except McKenzie underacts, maintaining an emotionless monotone as opposed to Bale’s over-the-top shouting. Hopefully McKenzie will step it up when he fill’s a young Gordon’s shoes in the upcoming Gotham TV series. As noted earlier, Batman is not the star and has far less lines than Gordon. It’s not a bad attempt to introduce Year One to a new audience and I love seeing David Mazzucchelli’s art brought to life, but I’d prefer to see more fully original stories inspired by the comics worked into the animation schedule as opposed to operating as book-on-video recreations of Batman, Superman and the Justice League’s greatest hits. Which animated Batman movies will round out the rest of the list? I'll be posting my Top 5 in order tomorrow so check back to see if you agree with my rankings!